Many non-Jews such as Mark Twain and Leo Tolstoy have penned keen insights into the Jewish people. 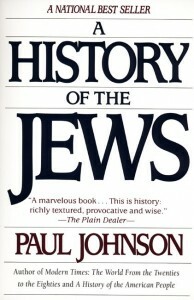 Paul Johnson in his “A History of the Jews” is another. What are we on earth for? Is history merely a series of events whose sum is zero? Is there no fundamental moral difference between the history of the human race and the history of ants? Or is there a providential plan of which we are however humbly somehow agents? No people have ever insisted more firmly than the Jews that history has a purpose and that humanity has a destiny. At a very early stage in their collective existence they believe they detected a divine scheme for the human race of which their own society was the pilot.… Judaism is not a product, but a program, and the Jews are instruments of its fulfillment. 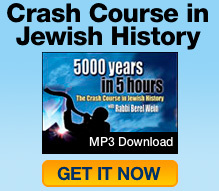 Jewish history is a record not only of physical facts but of metaphysical notions. The Jews believe themselves created and commanded to be a light unto the nations of the world. And they have attempted to obey, to the best of their considerable powers, that commandment. The results, whether considered in religious or secular terms, have been remarkable. The Jews have given the world ethical monotheism, which might be described as the application of reason to divinity…. The light they shed and distributed has illuminated us well, for it revealed to us painful truths about the human spirit, as well as the means to uplift it. The Jews have been great truth-tellers. And that is why they have been so hated. A prophet will be feared and sometimes honored, but he will never be loved. A prophet must prophesy. And the Jews, therefore, will persist in pursuing truth as they see it wherever it leads. Jewish history teaches, if anything can, that there is indeed a purpose to human existence, and we are not just born to live and die like beasts of the field…. If the earlier Jews were able to survey with us the history of their descendants they would find nothing surprising in it. They always knew that Jewish society was appointed to be the pilot project for the entire human race; that Jewish dilemmas, dramas and catastrophes would be exemplary, larger than life, that Jews throughout the millennia should attract such unparalleled, indeed inexplicable hatred. Well, that’s regrettable. But it’s only to be expected. Above all, that the Jews should still survive, when all those other ancient people were transmuted or vanished in history, is wholly predictable. How could it be otherwise? Providence has decreed it and the Jews have obeyed.